Photos/Videos: Kathy Leister & Jeremy Capella (CEC Jr. Reporter). 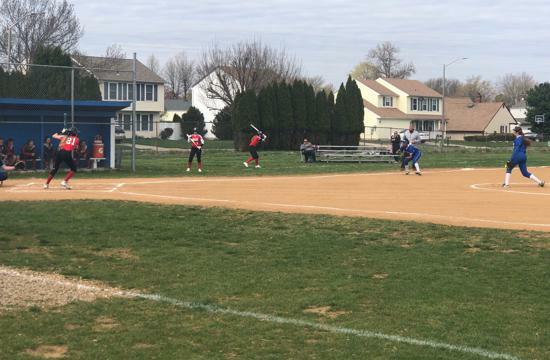 PHILADELPHIA – Archbishop Ryan was hosting Lansdale Catholic. Both teams entered the contest undefeated, and this was a rematch of last year’s Catholic League title match. 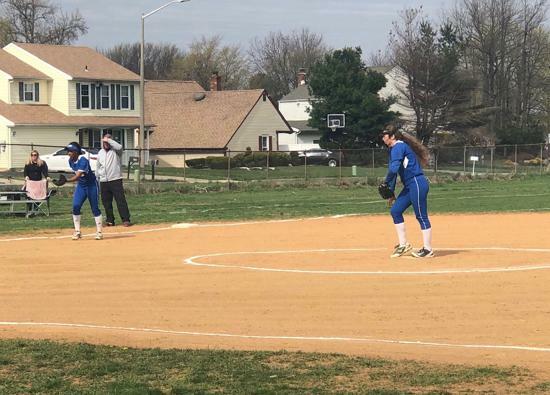 In other words, in terms of a regular season Catholic League softball game, this one on April 9 was the most anticipated. 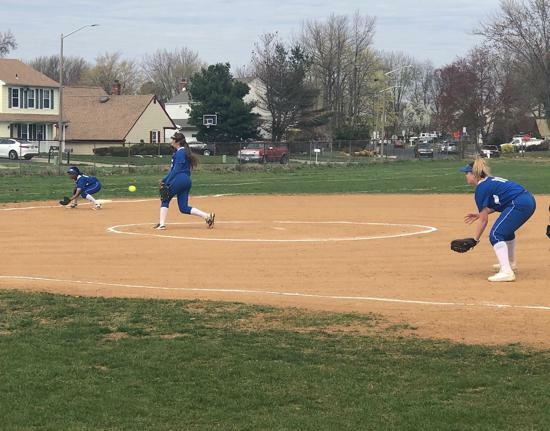 Behind strong pitching by sophomore Dana Bell and a resourceful offense, the defending champion Ragdolls edged the pesky Crusaders, 3-2, surviving a major scare in the seventh inning. At roughly the halfway point of the league schedule, Ryan is tied with Cardinal O’Hara with a 5-0 record. Lansdale Catholic is directly behind at 5-1. 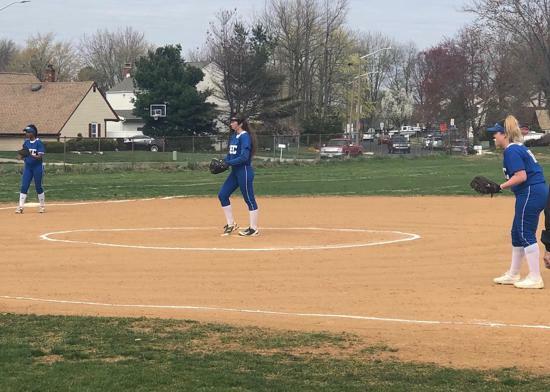 For Bell, who last year emerged as the top pitcher in the league and has only gotten better as a sophomore, winning games like this are imperative because the pressure only becomes stronger once the playoffs commence. “It was a tough game,” said Bell. “It took a little something from every person on that field to bring the win home. 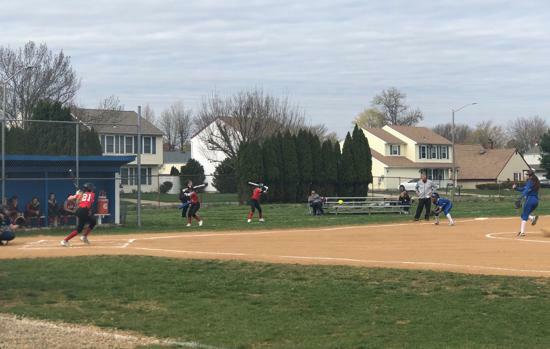 Lansdale’s pitcher (junior Mary Picozzi) gave us a run for our money, but our batters pulled through in key situations, which put us on top. Leading 3-0 in the seventh, Bell was one out away from a shutout when LC’s Jenny Llewellyn slammed a two-run homer. Suddenly it was a 3-2 game. Bell’s faith was rewarded when a ground out to second ended the game and drew a collective sigh of relief from the Ryan crowd. For Lansdale Catholic, the loss was bittersweet. By taking the game to its final out, the Crusaders were reminded that they could compete with the PCL’s best. Aforementioned senior Jenny Llewellyn admitted that hitting a home run off a pitcher of Bell’s caliber was a thrill. It also took away some of the sting of coming up just short; still, though, it hurt. To see & purchase more photos from LC vs. Ryan by Kathy Leister click here! Two days later, Lansdale Catholic rebounded by shutting out visiting West Catholic. In a display of outstanding sportsmanship, the Crusaders invited the Lady Burrs to hang around and join them in a cookout. After an hour and a half of playing softball, the consensus was that sharing hot dogs and hamburgers was more memorable and meaningful. Lansdale Catholic senior Rebecca Tiley concurred. 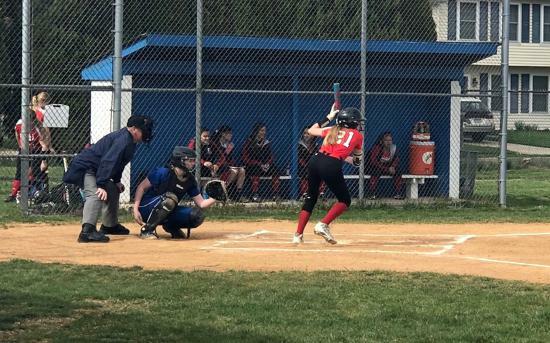 “Over the course of my high school career, every time we take the long trip to West Catholic, we always come back saying how nice the other team was,” said Tiley. “This year we wanted to really make them feel welcomed and appreciated. 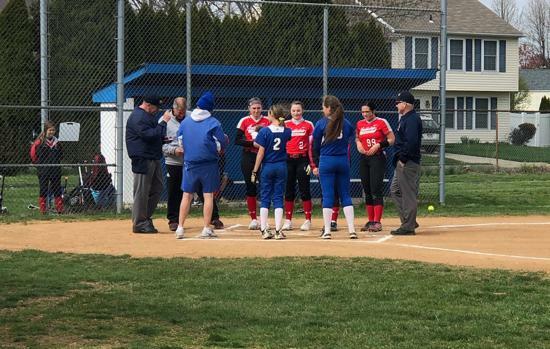 Speaking of memorable, Conwell-Egan enjoyed an unforgettable 7-6 victory over visiting Archbishop Carroll on April 9. 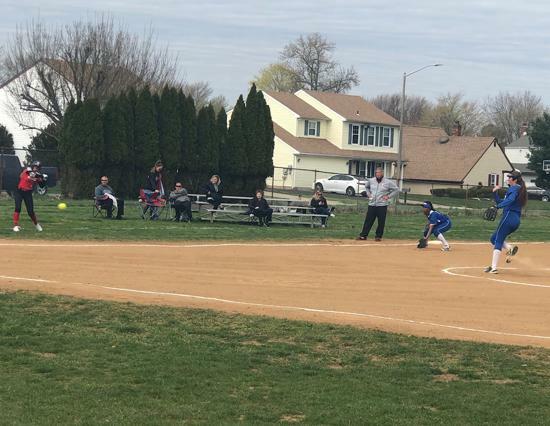 The Eagles led by 3-2 in the top of the seventh, but Carroll, which had entered with a 4-1 record, responded with four runs to take a 6-3 lead. 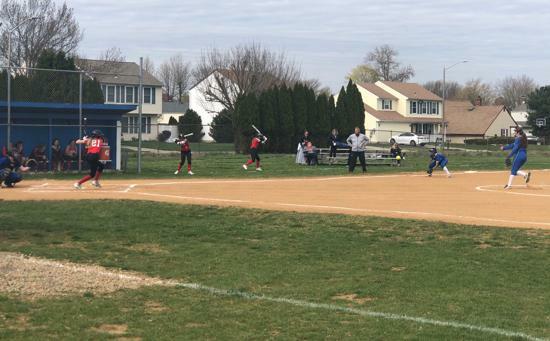 With two outs, the Eagles (2-3 and winners of two straight) regrouped and scored four runs, highlighted by junior Elizabeth Shire’s game-tying, two-run triple and junior Devyn Savage’s walk-off single. C-E coach Sandy Hart agreed.